At an event in Seattle on Thursday, Amazon made a string of launches related to Amazon’s AI assistant Alexa. Amazon’s entry into the smart home market started about two years ago with the launch of Amazon dot ( Generation 1) in 2016. Since then the Alexa powered devices have captured a significant market share owing to their low prices and effective performance. With the recent launch, it looks like Amazon wants to dominate the smart home market by having a device designed for each and every room inside the house including the kitchen. It is estimated that the smart speaker users of Amazon will increase by 30% in the coming year and roughly two-thirds of the entire smart speaker users in the US will be wielding an Amazon smart speaker. 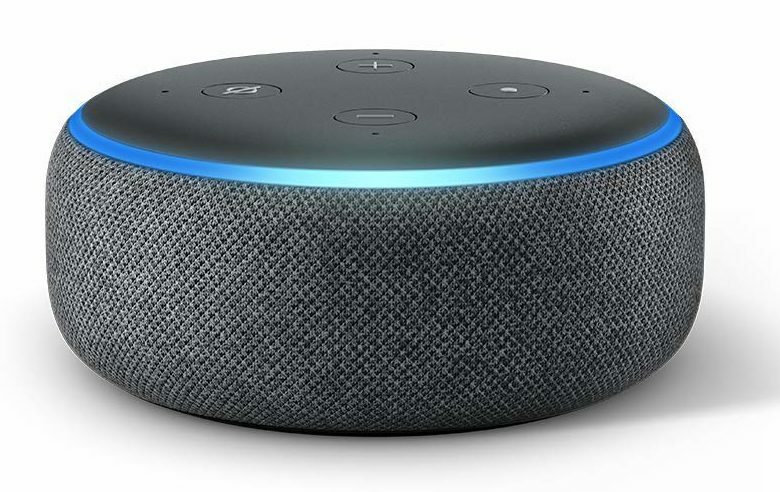 Amazon Echo Dot: Amazon has refreshed it’s most popular smart speaker Echo dot, it will now have a fabric like cover finish which gives it a look like the rest of its competitors in the segment like Google Home Mini. What’s riveting is that it is still priced the same at $99. Amazon claims to have improved the quality of audio output on the speaker and that the new speaker will be 70% louder than the earlier echo dot. Echo Sub: Amazon launched a companion to the existing Echo and Echo Plus. It is essentially a subwoofer which can be paired with one of the Echo speakers to enhance the bass and provide a more immersive experience. It is priced at $129.99. Amazonbasics Microwave: Amazon’s subsidiary Amazonbasics is launching a new product which can be linked to your Echo devices via Bluetooth. The Echo devices can be used to give voice commands for the microwave and also includes several quick-cook presets for making your cooking experience easier. It is priced at $59.99 and will start shipping only later this year. Echo Wall clock: The Echo wall clock will connect with your echo devices through Bluetooth just like the microwave and lets you set timers, alarms and change the time using Alexa commands. The clock will track the timer set by you with the help of a series of LEDs placed around the rim. It will cost $30 and will be available later this year. Apart from these launches, Amazon has also made few announcements regarding the new Alexa features like Alexa Guard and Alexa Hunches. Alexa Guard: In a step to improve the home security, Amazon has introduced the Alexa Guard feature which helps the users to receive alert messages regarding intrusions or any unnatural activities. Once the user sets Alexa to guard mode while leaving the house, Alexa listens to the surroundings using the Echo speakers for any suspicious sounds or smoke alarm sounds and notifies the owner through phone regarding the same. In addition to this, Alexa will also be able to manage your smart lights to randomly change the lighting and make it look like there is a person inside the house. Alexa Hunches: Amazon is adding a new feature to better help you in your day to day tasks with the help of a “hunch”. It will ask you if you want to switch off your living room or porch room lights when you say goodnight in your bedroom. It learns and improves its hunches from time to time based on your preferences. In the end, it is quite possible that Amazon might monopolize the smart home market in the near future if the other companies do not catch up and start innovating.